Your lips are one of the most important features of your face and say much about you. Scientists have known for decades that lips which are naturally full with a defined shape are considered sensual and attractive. 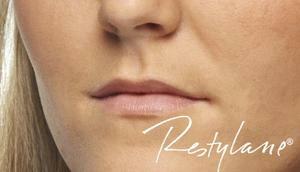 As time goes by, lips naturally lose their volume, appearing thinner and less defined. Wrinkles and fine lines can alter the smooth look of your lips further, and compromise the shape of the vermillion borders and cupids bow. The corners of the mouth may even turn down, giving a tired and aged appearance. 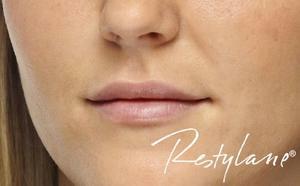 Dermal fillers can be used to add volume directly through the lips (top, bottom or both), can be applied all around the border of the lip to redefine the vermillion border which can also smooth the fine lines that develop in time and allow lipstick bleed or can be used to lengthen th edepth of the lip and improve symetry.Whatever your individual concern you can discuss this with your doctor during your assessment and the best treatment for you be planned. The lip edges can be treated to restore contours and redefine the borders of the lips this also helps prevent your lipstick from seeping out into the skin - and leaves you with a crisp, well-defined shape. Enhancing the lip volume themselves adds natural-looking volume and balance to the body of the lips - the most common enhancement our patients seek. The trough between your lips and nose (the philtrum) can also be added to in order to improve lip contour and definition. The advanced dermal fillers contains a local anaesthetic for added comfort and is injected with a small, fine needle. There is a ittle pain but bareable and the lidocaine qorks quickly as injected. What are lip enhancement fillers made from? The advanced fillers we use are made from Hyaluronic acid which is naturally found in the body. Hyaluronic acid helps maintain structure and thickness of the skin but is slowly depleted through the ageing process. Advanced dermal fillers are not permanent, and will naturally break down. This varies by individual and area of the face treated. Your practitioner will discuss your requirements with you at your consultation to ensure your treatment is tailored to your desired outcome, but it usually takes from 20 to 40 minutes. It is common to have some redness and swelling after treatment, but this usually resolves within a few days.